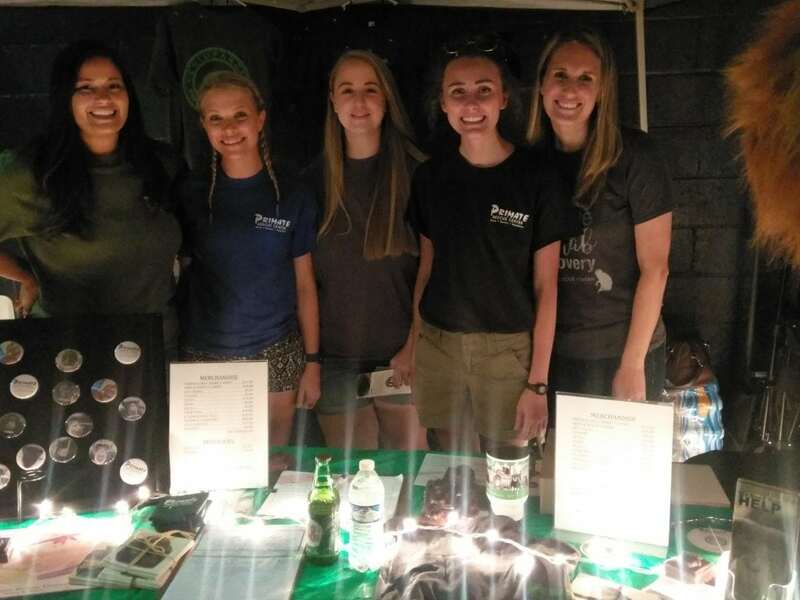 June 8, 2018 marked the second annual Animal Sanctuary Caregiver Day, and we were so excited to celebrate this day with our fellow caregivers, interns, and volunteers who dedicate their time, energy, and heart to providing excellent care to the primates who have found a safe, peaceful home at the Primate Rescue Center. Caring for animals of any kind is an amazingly rewarding job, but it’s not always easy. Actually, being an animal caregiver is very hard work and can be physically and emotionally demanding for even the toughest of individuals. 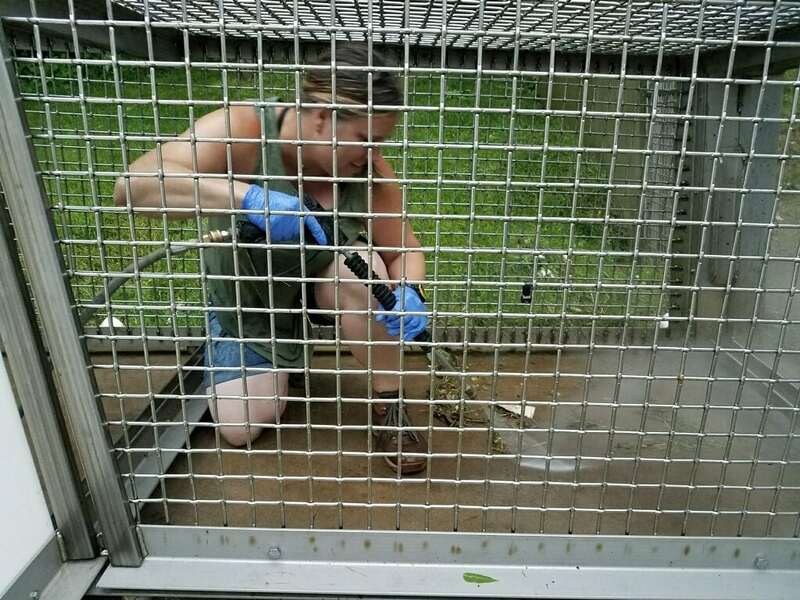 Caregivers at the PRC are responsible for giving the primates a second chance at life and that takes a lot of patience, determination, and love. Animals never take a day off from needing care, therefore we are providing care 365 days a year in all weather conditions. Certainly some months of the year are much easier on us, and we feel so lucky to have a job that allows us to work in the sunshine in this beautiful, hidden valley in Nicholasville, KY. Those Kentucky winter months can be brutal, but we still give our all to ensure that the primates are comfortable, warm, well fed, and happy even on the coldest of days. 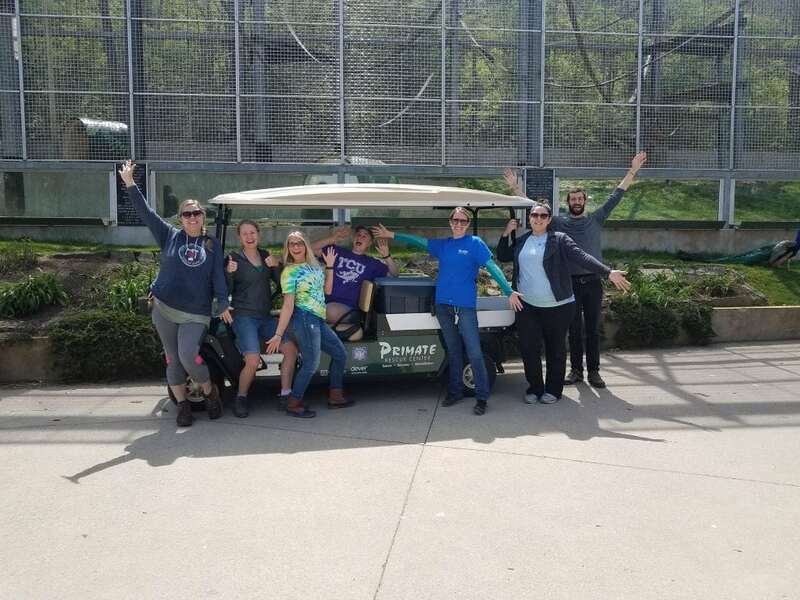 The PRC’s caregivers, groundskeeper, interns, and volunteers are an incredible group of people! 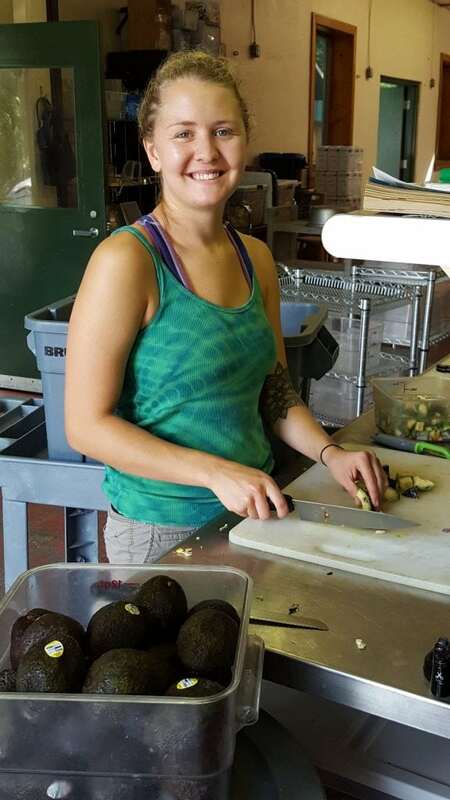 They pick up produce, prepare meals and special diets, and deliver those meals each day to nearly 50 primates. On top of that, we also clean and enrich, and we make sure that everyone’s habitat is safe, fun and engaging. Caregivers consult with the primates’ veterinarian, prepare medications, and administer medications and medical treatment to any primate at the facility in need of medical care. 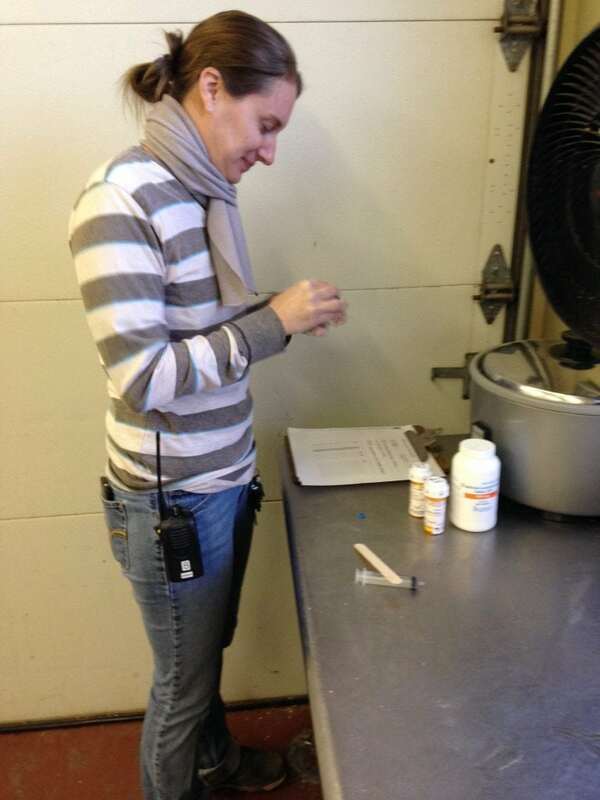 We have some pretty picky primates, so we have to get creative about what yummy foods to mix with their medication. Even though it can be frustrating at times when someone won’t take their medication, we never give up trying to find that perfect combination they will consistently take. 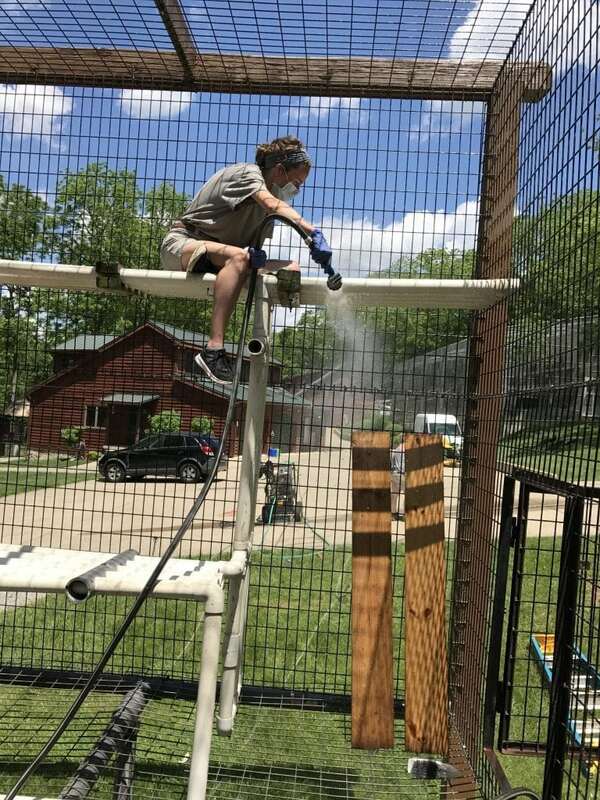 Apes and monkeys can make quite a mess, so staff, interns, and volunteers are constantly working to keep up with the need to clean enclosures, toys, and the grounds. Keeping the sanctuary beautiful is no easy task. Our groundskeeper has quite the to do list to maintain and improve the sanctuary grounds, with acres of mowing, weed-eating, landscaping, and mulching. In addition, he picks up produce 5 days a week, maintains our vehicles and buildings, and helps us with all sorts of special projects and cleaning tasks. All care staff members have extra duties in addition to their caregiving tasks to help keep the sanctuary running smoothly. 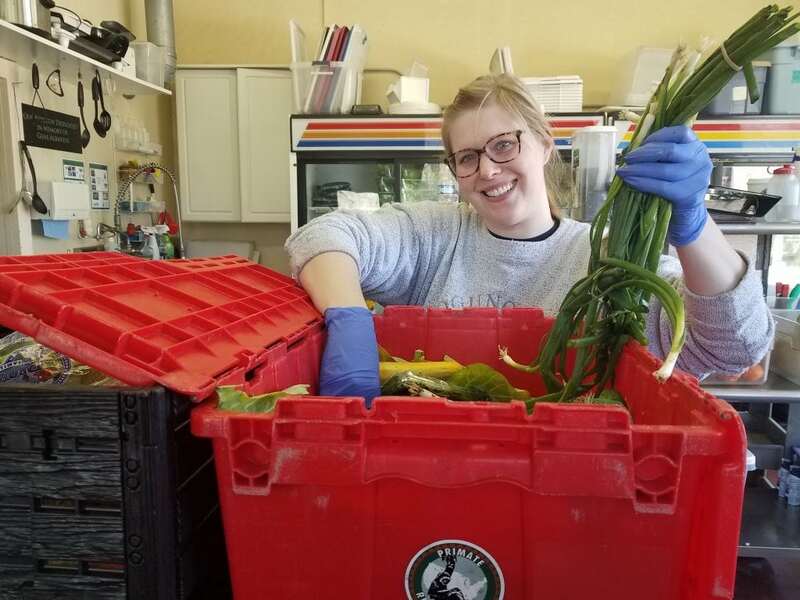 Social media coordination, administrative tasks, fundraising, volunteer and intern program coordination, event planning, and much more – these are all tasks that our care staff accomplishes while also continuing to provide a peaceful and happy life to the PRC primates. Being a caregiver to apes and monkeys is an amazing experience. But, choosing a job like this really isn’t about your own personal experience at all. It’s about theirs – all the chimps and monkeys who suffered at the hands of humans in the pet trade, entertainment industry, and laboratories across America. Truly caring for primates takes sacrifice, love, sweat, tears, and an undying dedication to the goal of alleviating their suffering and helping them find peace. 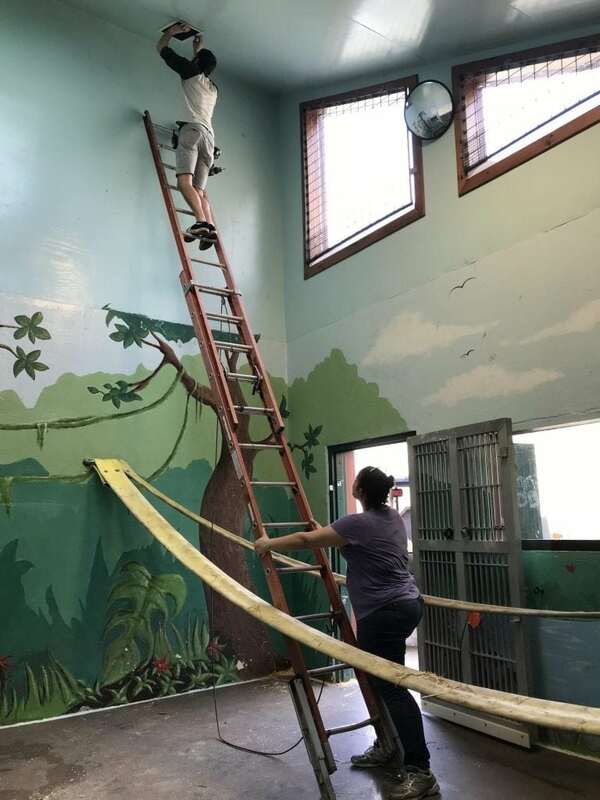 I’m honored to have the opportunity to give care and help provide a peaceful, dignified retirement to all the primates who find themselves rescued by the PRC. And I’m honored to work with the most incredibly giving, selfless, adaptive, creative, intelligent, hardworking, friendly, and loving people you could possibly imagine. Here’s to the wonderful caregivers at the Primate Rescue Center!